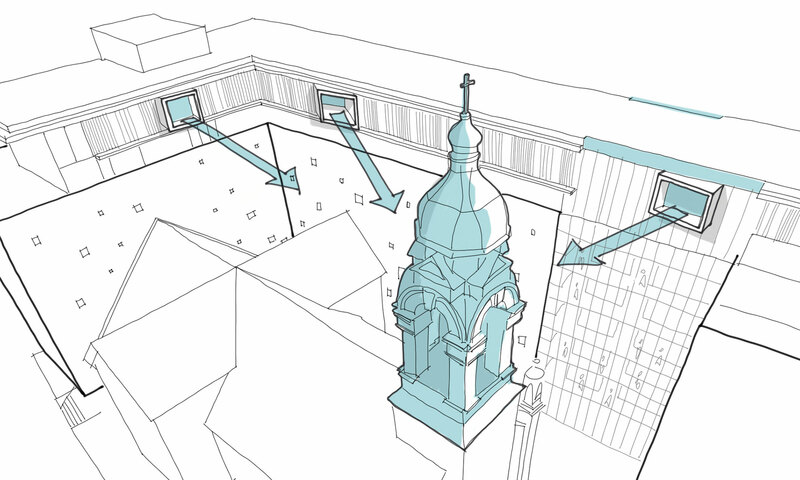 The primary focus of the architects and designers was to respect the original church and find a way to reinvigorate the site, making it relevant once again to the surrounding communities. Preserving the spaciousness of the original grounds was key – and by utilizing only 50% of the land for building, ModBox created a park-like perimeter to beckon both residents and the community and provide a welcome respite from the street. Here people are invited to pause for a moment to enjoy a cup of coffee on a welcoming bench and escape the bustle of the street. 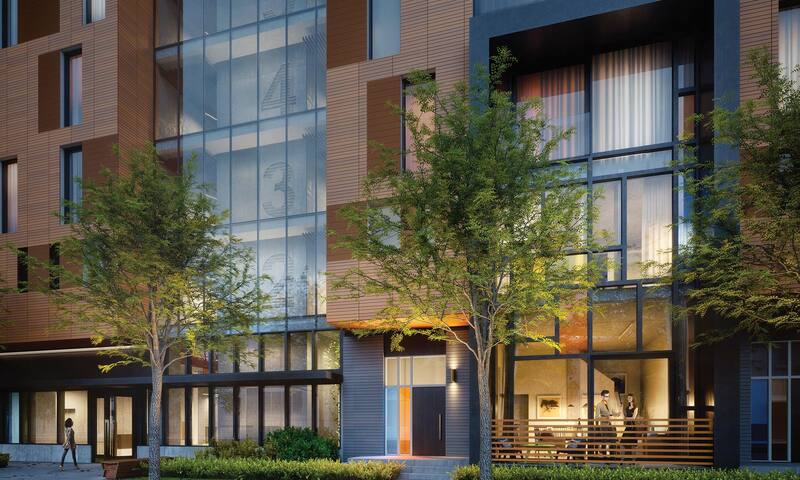 Linebox has created a building of horizontal homes; each of the 54 suites is designed to provide a unique full home experience for its residents. Large living areas, master bedrooms with room for king-sized beds, kitchens with an abundance of counter space, plenty of storage and amazing views. The architectural language is honest and real, incorporating themes and proportions from the original church structure and modernizing them. The materials are unique and authentic, like terracotta brick, natural wood and concrete. The architecture is forward-thinking in its concept. The design seeks to create an environment that will foster community interaction and engender a high quality of life. Linebox’s design is fluid and seamless, transitioning effortlessly from the exterior to the interior with the church and its bell tower at the heart of everything. 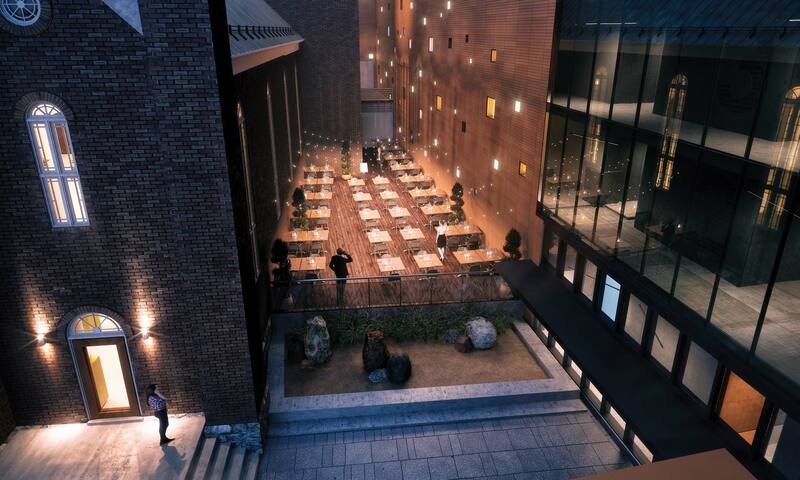 Between the church and the new building, the designers have envisioned a “starry night wall”. 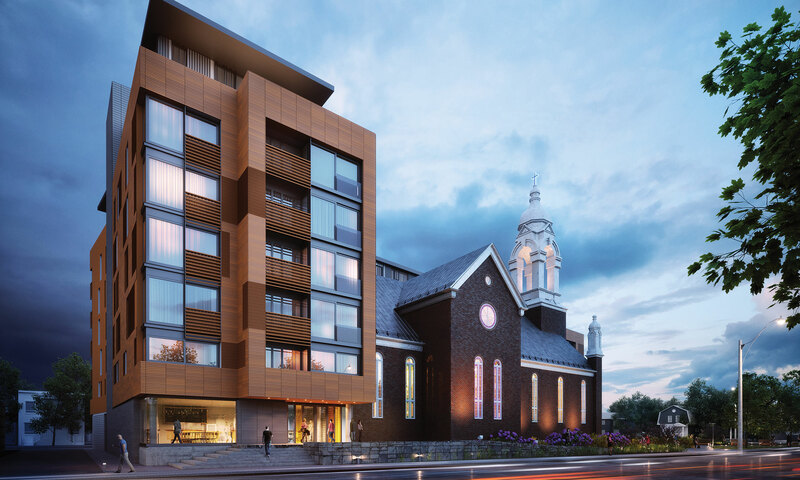 A skin that energizes the connection between the church and the residential building and is animated with seemingly random back-lit window panes. The starry night wall acts as a beautiful backdrop to the church while adding interest and delighting in its own right.